If you're one of the few who have been on a submarine, I'll bet it didn't have windows! 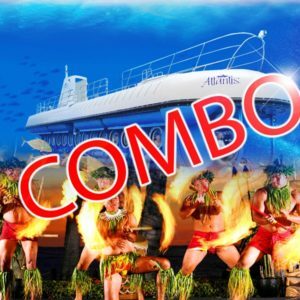 Here's your chance to board a .5 million submarine, dive to a depth of 150 feet, and cruise around the ocean floor for an hour and see everything out there from the best vantage point possible. Sound exciting? 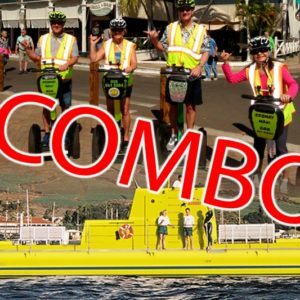 A Maui submarine tour is! 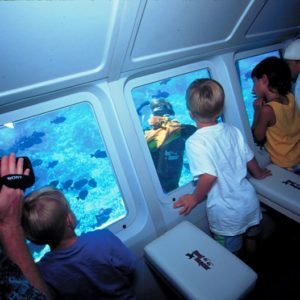 During my first Maui submarine tour, I remember thinking how incredible it was to be down that deep for that long. I realized I was actually spending a part of my day on the ocean floor examining the sanctity of the underwater world, a world which had previously only been available to me via motion pictures or television. I remember thinking how wonderful it would be if every child could have this experience and they would be aware for the rest of their life that there was a marine world below the surface of the water that was happening every moment of the day just as they're lives were happening. Was I impressed with my first submarine tour? You bet, and I know you will be as well!